When doctors talk, we listen. Sometimes, however, when doctors talk we don't understand them, or they talk too quickly, or they talk when no one's around. How are we going to listen in these circumstances? More importantly, how are doctors themselves going to remember what they said so that they, their patients, and their medical peers will benefit from their ideas? To account for this problem, doctors commonly make recordings of thoughts related to their interactions with patients and their recommendations. Today's highly digitized medical culture, however, requires more than just audible recordings. It is essential that these recordings are transformed into a written, searchable format that is stored in an electronic database. But doctors don't have time to sit down and type out everything they've recorded. And that's where medical transcriptionists come in. These professionals specialize in taking doctors' confidential recordings and typing them out, producing exactly that electronic format that's so essential for keeping up with today's technological opportunities. With your Associate's Degree in medical transcription, you'll develop the knowledge and skills necessary to be employed in this essential role. Medical transcriptionists are part of the diverse team that works towards providing patients with high quality care. The medical field is one of the most complex and confusing areas when it comes to terminology, diagnoses, treatment, medication, procedures, and so on. And although doctors are generally reputed to be brilliant, it takes an equally sharp mind to interpret what these doctors are intending when they communicate about their field. A medical transcriptionist needs to be an adept listener and interpreter who can correctly transcribe the information doctors are reported in their voice recordings. Since it is critical that transcriptionists ascertain the minute differences between the complex terminology doctors might use, those aspiring to work as a transcriptionist must first go through a program that equips them with the necessary background knowledge. An Associate's Degree program focuses on more than mere clerical skills: it supplies students with knowledge related to medical terms, anatomy and physiology, diagnoses, pharmacology, and treatments. Having prolific knowledge of these distinctions will make the difference providing patients with the correct or with a potentially harmful drug. The specific functions a medical transcriptionist might have include first and foremost listening to the recorded dictation of a physician and then accurately typing what they hear. This includes constructing electronic copies of test results, operative reports, and letters. Often, physicians might include abbreviations or jargon in their speech, and it will likely be required that these terms be transcribed into their long, formal state. The transcriptionist must provide these reports in a clear, organized, and timely manner to their supervising physician, and of course they are required to keep all specific matter related to patients confidential. The most common opportunities for employment arise in the areas where doctors work the most directly with patients. Hospitals where general treatments and surgeries are performed need medical transcriptionists, as do medical offices of all kinds of physicians. Businesses that offer support services to the medical field often employ medical transcriptions as part of their support package as well. We do not have the technology that comes anywhere close to recording doctors' voices and accurately transcribing it into a usable, reliable report. Highly trained humans are the only ones who are capable of providing this specialized skill. With your Associate's Degree in medical transcription, you will have the technical skills and the medical background knowledge that will most usefully take those voice recordings and turn them into the reports that physicians rely on to give quality care to their patients. So before listening to doctors' voices, listen to that own voice in your heart that confirms this is the right career for you. We sat down with Karen Smith of Irvine, CA and was given a candid interview regarding the transcription industry. Ms. Smith has been a medical transcriptionist for over 18 years and gave us great insight not only into the industry but into her career. Question: First off thank you for talking with us today. Tell us how you first got interested in the medical industry. Answer: I’m currently 52 years old so I wasn’t exactly young when I started in the industry. I stayed at home and raised my 2 boys and one-day saw a commercial about jobs that can be done at home and medical transcription was one of them. Question: When did you go to school and did you start working from home once you graduated? Answer: I studied at Arizona State for 4 years and earned my BA in medical science but never went into the field. I took an online medical transcription courses that lasted about a year and also took a transcription course. It was a great course and the first online program I’ve ever taken. Once I completed both I got hired to work out of a doctor’s office doing their transcription. They also sent me back to school for 6 months where I earned my Associate’s Degree in Medical Transcription. From that point I stayed with the company for 6 years then I branched out and started working from home. Question: Is it hard to work out of your house as a transcriptionist? Answer: At first it was extremely hard. The biggest hurdle is finding clients to work for. 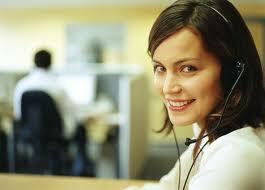 The process of doing transcription doesn’t matter if you are at your home or in an office setting. The key is finding good employers to work for and offering competitive pricing so they will stay with you. Question: Is it hard to work for a doctor? Answer: Not really. At first it can be intimidating as they are throwing around a ton of big words but the key is to really get to know the clients. This helps as you’ll learn what jargon they use and it makes transcribing that much easier. Answer: The first thing I would recommend is get all of your schooling out of the way early. I took too long to earn my Associate’s degree and I should have just stayed in school. The second thing would be to get hired and work for someone first before ever attempting to branch out and work from home. You need to gain lots of experience first and this will help you with you new clients. The last bit of advice would be to stay on top of all of the speech software that has surfaced over the last 10 years. When I started they really didn’t have any good software but it keeps getting better but also more complex. When it comes to being a good transcriptionist the key is to surround yourself with great clients and software. Voice software is a must in order to cut down time, speed up transcription so you can charge more. Below are just some of the top voice software you might use during your Associate’s degree training. Dragon Naturally Speaking – One of the top voice recognition software on the market is by Dragon. Many of the schools listed will use Dragon in their classroom as it is used by more transcription professionals than any other software. TalkChart – Great software for smaller practiced. It is web based which is great and easy to learn. If you are just starting out and work for a small doctor’s office this is an affordable solution to consider you’re your transcription needs. EMDAT – Very good software that is HIPAA compliant and web based. One of the key features is it allows you to use it on your mobile device.